Benefits for your skin—and our planet. 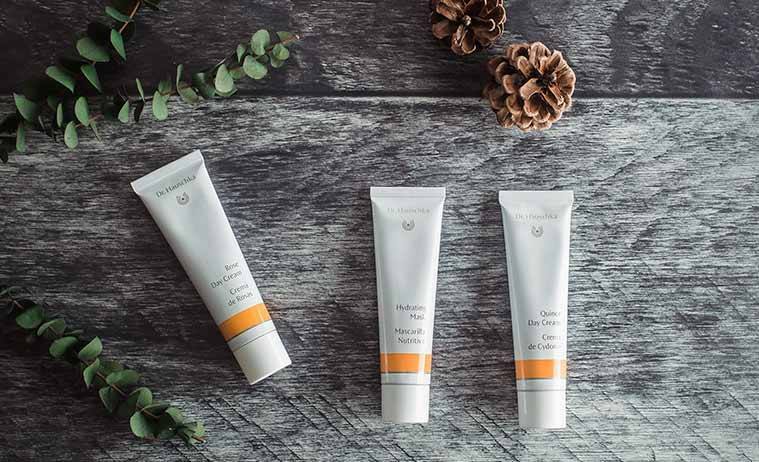 For over forty-three years, Dr.Hauschka Skin Care products, signature facial treatments and business practices have been based on a "holistic" philosophy. Our formulations are based on an understanding of the way skin works and its relationship with overall health, the goal being skin that is balanced and able to perform its natural functions without dependence upon a slew of products. A Dr.Hauschka Skin Care regimen works best when part of a healthy lifestyle supported by diet, exercise and contemplative practice. All of these factors help to reconnect us with our natural rhythms, and have a profound effect on skin health and beauty. All are a part of Dr.Hauschka's holistic approach. This information is taken from the Dr. Hauschka website at www.drhauschka.com. Please visit their site for more information.